If you have adult acne you know that it never takes a holiday and can flare up at a moment’s notice. We all want to look our best; especially on Valentine’s Day. Whether you’re spending the night out or hanging at home, I’ve pulled together my best tips on how to prepare your skin for a special occasion. I recommend using these specially formulated products the night before to achieve a beautiful, dewy complexion. The first step to help achieve a radiant complexion is gentle exfoliation. This essential skincare step helps to expedite cell turnover, shedding away old skin cells that could be causing dull, dry or flakey patches. Any client who is concerned about excess oil, clogged pores or rough texture would greatly benefit from our Healing and Purifying Mask. Our clay-based exfoliating mask works to gently remove dead skin cells while deep-cleaning your pores. This perfect at-home treatment was specially designed to purify and exfoliate while cleansing and reducing facial redness. This mask is best used in between office treatments, or one to two times per week. Start by applying a thin layer to a cleansed, dry face. Leave the healing mask on for about 15-20 minutes then gently rinse off with warm water. PRO TIP: Our Healing and Purifying Mask can be used directly on pimples as an overnight spot treatment. Our skin needs extra hydration, during the dry winter months. Help to combat thirsty skin with an oxygen-rich facial mask. We’ve harnessed the amazing oxidizing powers of hydrogen peroxide to help soothe and clear your delicate skin. Our comfortable mask delivers a potent amount of oxygen molecules directly into your skin, which helps to stimulate your body’s natural healing function. The result is an increase in collagen production, reduced inflammation and surface bacteria. After using this once a week treatment, you’ll notice a smoother, plumper, clearer and most importantly more moisturized face. Continue your skincare routine by applying a generous amount of Oxygen Mask onto your clean, dry skin. Leave the nutrient-rich mask on for 20 minutes then gently remove with a warm washcloth. This mask can be used once a week in your skincare routine. Whether it’s date night or a special occasion, clear skin is always important for your self-esteem. We’ve selected our Oxygen Serum for this exact reason. Oxygen has proven to help skin brightness and clarity while reducing clogged pores; the key to clearer skin. Studies have shown that formulas including Perfluorodecalin can improve the skin’s barrier function resulting in increased moisturizing efficacy. Our oxygen-rich serum supplies essential skin nutrients that can help brighten your dull or lackluster complexion. Apply a small amount of serum to clean, dry fingers. 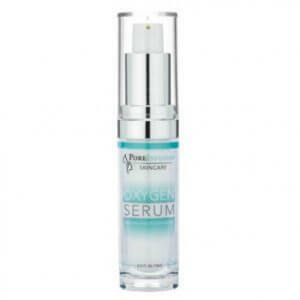 Gently pat and press the Oxygen Serum directly onto your clean, dry face and neck. 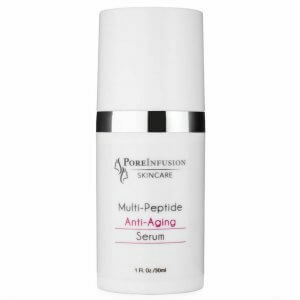 Our serum can be used daily, day and night. The last step in your Valentine’s Day skincare routine is to lock in precious moisture. We’re wrapping up with our super lightweight, acne safe Vitamin B Lotion. A key ingredient, Niacinamide, helps to lighten dark spots, heal inflammation, and reduce fine lines. All while deeply hydrating your skin. This special formula also includes Panthenol (B5) that can help improve your complexion by reducing redness, blotchiness and hyperpigmentation. 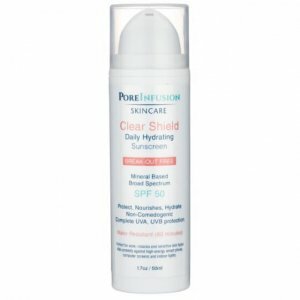 This powerhouse ingredient has also been shown to reduce the size of pores and minimize breakouts when used daily. Finally, apply a 2-3 pumps of lotion to clean, dry fingers. Gently pat and press the lotion directly onto your clean, dry face and neck. Our Vitamin B Lotion can be used in the morning after Mandelic Serum, before applying sun protection. 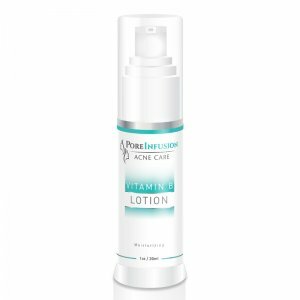 PRO TIP: Vitamin B Lotion is perfect for adult acne prone skin because of its added anti-aging benefits. 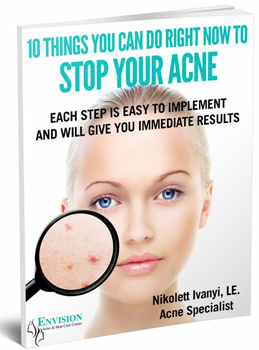 If you’d like to find out more about our adult acne treatments and online virtual consultations book a consultation or call us today, and we’d be delighted to discuss your options.